Michael D. Steger’s intellectual property practice focuses on trademark, copyright and internet matters, whether they are transactional or litigation. During Mr. Steger’s tenure as in-house counsel, he was responsible for protecting the company’s copyrights and trademarks, including commencing cease-and-desist actions against infringers, handling copyright and trademark registrations and counseling businesses on maintaining the integrity of the “America’s Most Wanted” brand and logos, as well as their various iterations. He was also responsible for licensing intellectual property to and from other entities. As both a private practice and an in-house lawyer, Mr. Steger has litigated cases involving claims of copyright and trademark infringement, defended trademark prosecution actions, and has registered intellectual property rights for clients. 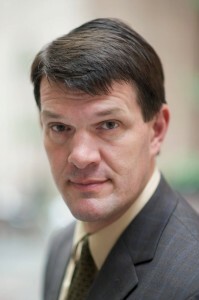 His intellectual property litigation matters have included disputes over film and Internet copyright claims, trademark infringement matters and the rights to television programs before state and federal courts as well as the Trademark Trial and Appeals Board (TTAB). In the spheres of Internet and online law, Mr. Steger has negotiated and drafted website agreements, privacy policies, end user agreements and contest rules; counseled clients on compliance with various federal and state online requirements, including CAN-SPAM, FTC requirements, the California Data Security Act, COPPA, EU Data Security and the DCMA; reviewed web content and licenses; and negotiated and drafted Internet link licenses to protect copyrights, trademarks and brand integrity. As a copyright attorney and a trademark attorney, he currently counsels clients on protecting their intellectual property rights through both registration and litigation. Mr. Steger is a member of the American Bar Association’s Intellectual Property Litigation Committee, part of the Litigation Section, and he is Co-Chair of its Copyright Litigation Subcommittee. He has been a member of the New York City Bar Association’s Trademarks Committee since 2013. 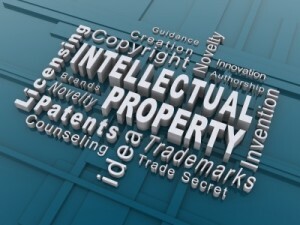 New York Enterprise Report named him New York’s Best Intellectual Property Lawyer for Growing Businesses in 2010.